39 years, 5 months, 10 days old age. Sarathbabu Elumalai will turn 40 on 10 November, 2019. Only 6 months, 20 days, 11 hours, 18 minutes has left for his next birthday. Sarathbabu Elumalai has celebrated the total number of 39 birthdays till date. See the analysis by days count and bar graph. 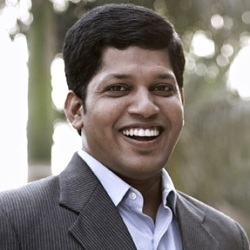 Sarathbabu Elumalai was born on 10-11-1979 in Chennai in the state of Tamil Nadu, India. He is an Indian Entrepreneur, Politician, Activist, Founder & CEO of FoodKing. He is married to Ramya Krishnaraj since 2015.